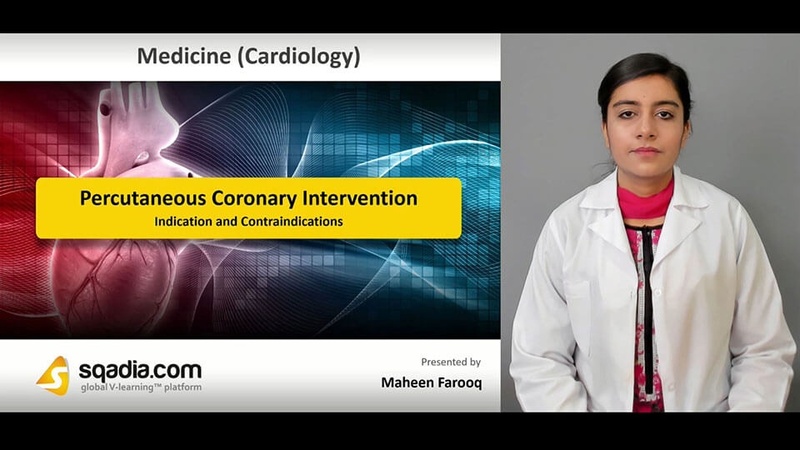 This sqadia.com medical video lecture covers all aspects of percutaneous coronary intervention. 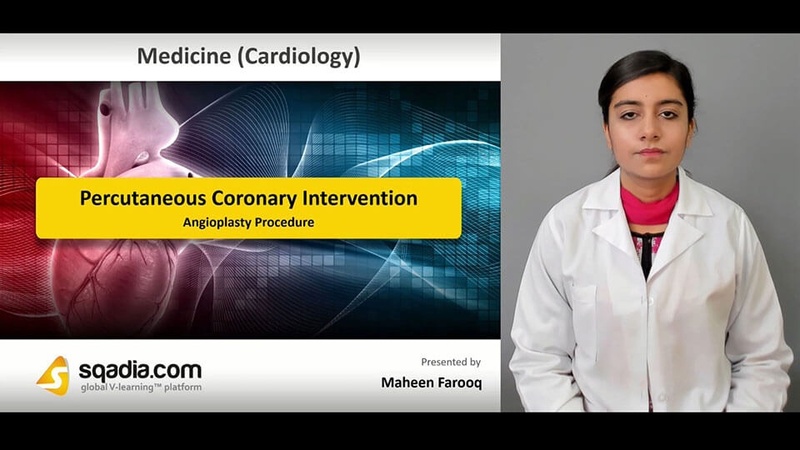 Maheen Farooq elaborates the lecture by giving definition and explanation of the procedures such as balloon angioplasty, brachytherapy. Also, early and late clinical outcomes are elaborated. At first, Maheen Farooq explains percutaneous coronary intervention by giving medical definition. Then she tells that the purpose of PCI is to treat narrowing (stenosis) of the coronary arteries. Incidence and prevalence of PCI has also been elaborated and it is informed that over past several years growth of PCI has slowed. Indications of PCI are acute ST elevation myocardial infarction, Non-ST elevation acute coronary syndrome, and angina. Contraindications of PCI are described as decompensated congestive heart disease, uncontrolled hypertension, uncontrolled hypertension, and coagulopathy. 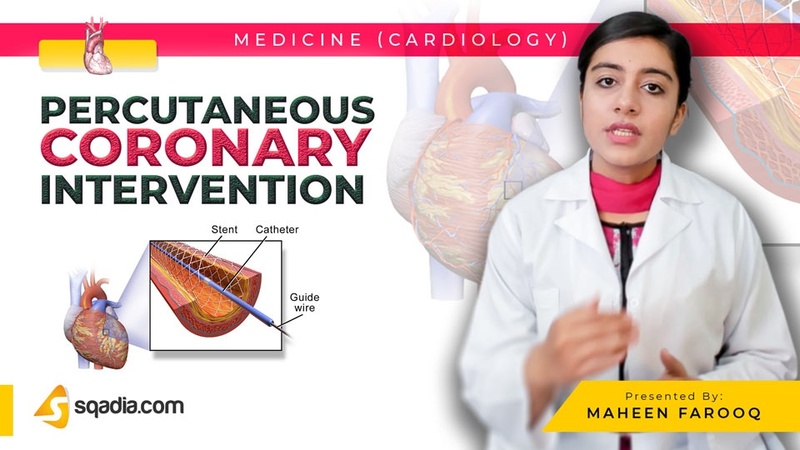 Among the procedure of angioplasty, balloon angioplasty is delineated along with some other procedures such as implantation of stents, rotational or laser atherectomy, and brachytherapy. Maheen Farooq also talks about vascular access sites and vascular closure devices which include sealant devices, mechanical closure devices, and hybrid closure devices. 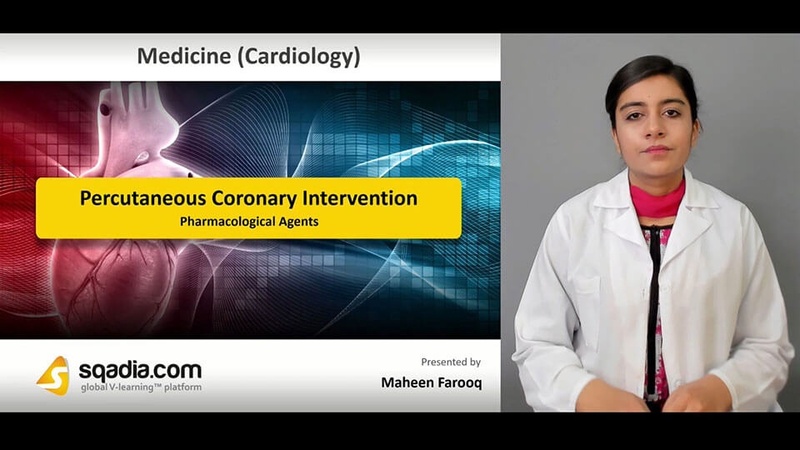 Aspirin, adenosine diphosphate receptor antagonists, low-molecular-weight heparin, and bivalirudin are the pharmacological agents contributing their role in treating percutaneous coronary intervention. Coronary Devices used in the management of PCI involves thrombectomy and aspiration devices.